Picture yourself on a summer night, sitting under hanging plants dangling from this wonderful Pergola, sipping a beverage while you take in the view of your backyard. 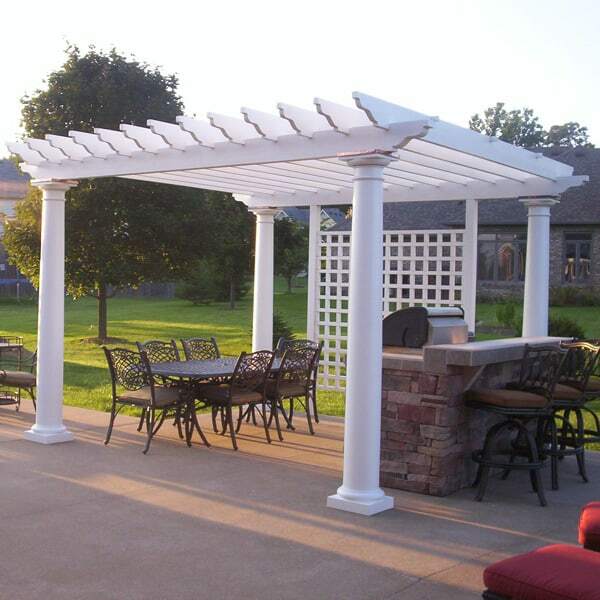 The "Carter" Pergola Project by Leisure Select adds class and distinction to your outdoor space, along with a great area to simply rest and relax. A perfectly-placed pergola over a porch or patio is a great addition to any backyard, giving you an open Outdoor Room to entertain and impress visitors. Do you like this pergola, but feel the materials fail to match your home? 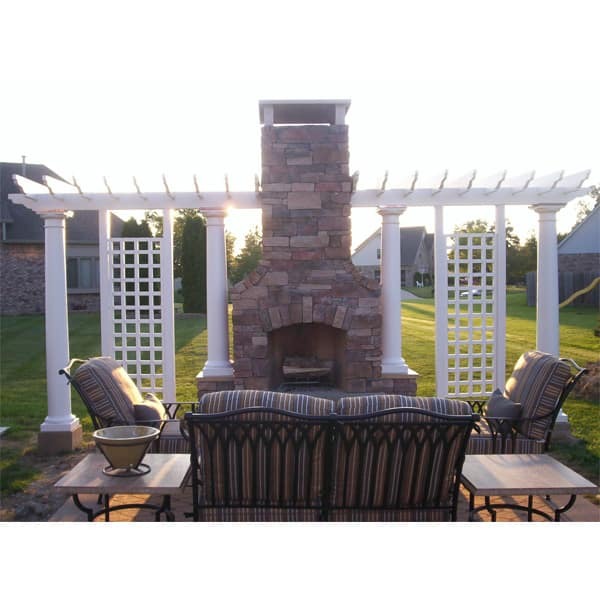 The "Carter" Pergola Project by Leisure Select showcases attractive wood and pillars that can be customized to fit the exact look and feel of your home. 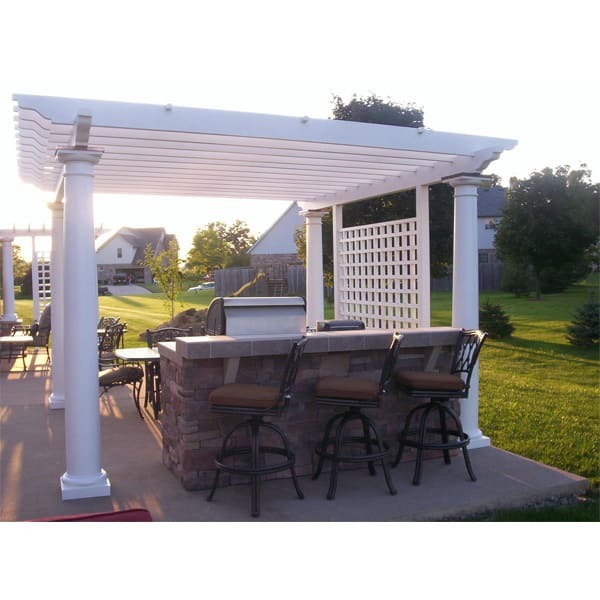 So add some pergola perfection to your empty outdoor space with the "Carter" Pergola Project by Leisure Select. Contact us today!